call it beauty. : How Perfect Is Chanel's Perfection Lumière? 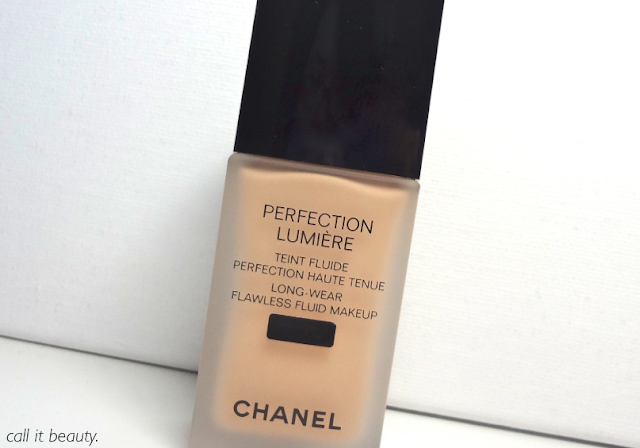 How Perfect Is Chanel's Perfection Lumière? ZOMG, is this a new post??? Why yes, yes it is. On top of that, I've been battling illness since the beginning of June. It was one thing after another, which I trudged through daily, but it finally levelled my behind this past week... So those are my excuses; I apologize for taking such a long break, but I think my body needed it. I would say this foundation provides medium, build able coverage that evens out my skin nicely without making it look overdone or cakey. My skin always looks wonderful, but natural, when using this foundation. 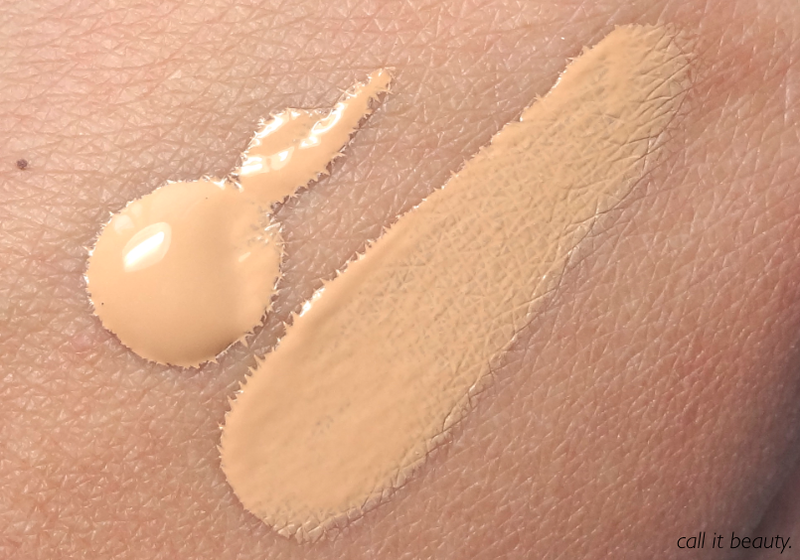 It's also quite lightweight - I don't feel like I'm wearing anything at all and I can pretend that my skin is just naturally that beautiful :p. That said, concealing really is a must when using this foundation. 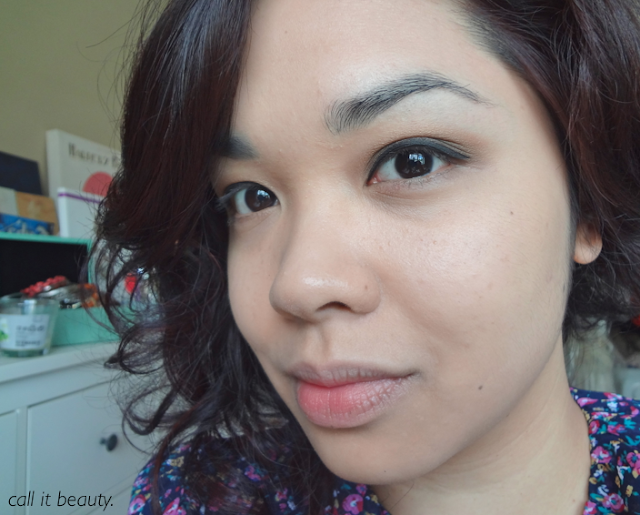 It does a wonderful job of evening out my skintone, but it's no match for my dark circles and blemishes. I was colour-matched to the shade 30 Beige, which is nearly spot-on. The reason I say nearly is because the more I apply, the more orange it looks on me; kind of frustrating when I want more coverage. However, when I use a single pump of this foundation, it matches my skin very nicely. The texture is lovely, as well; it feels really silky on the skin and there's an almost mousse-like quality to the foundation. I find that using a stippling brush helps to apply Perfection Lumière more evenly, as traditional foundation brushes don't do a good enough job of blending the foundation. Unfortunately, this foundation does not do a good job of lasting through my long days. Especially when there's sweating involved. My schedule can get pretty packed sometimes, which means I often find myself running from one location to another. I wish I could say I'm one of those girls that can exert a lot of energy and still look fabulous; alas, I cannot. My face can get super shiny in a short amount of time when I wear this foundation, though it does last longer if I'm spending my day indoors and sitting at a desk. That's really my biggest disappointment with this foundation. I was hoping for something that would work along the same lines as the Estèe Lauder Double Wear foundation, and while I wasn't expecting it to last as long or provide as much coverage, I was expecting Perfection Lumière to do a better job of holding up to my combination skin. It's a good foundation (I definitely recommend it for those of you with dry skin), but would I repurchase? Probably not... At this price point - I paid around $45/$50 CAD - I expected it to last longer and to do a better job of controlling oil. Especially since Chanel claims "perfect foundation hold for 15 hours" and a "matte finish." What's your favourite long-wearing foundation? One woman's thoughts on beauty, with a focus on product reviews and makeup looks. FOLLOW call it beauty. ON TWITTER! LIKE call it beauty. ON FACEBOOK! FOLLOW call it beauty. ON BLOGLOVIN! FOLLOW call it beauty. ON INSTAGRAM! Bright Mattes With Joe Fresh!